What are you up to for FNO? 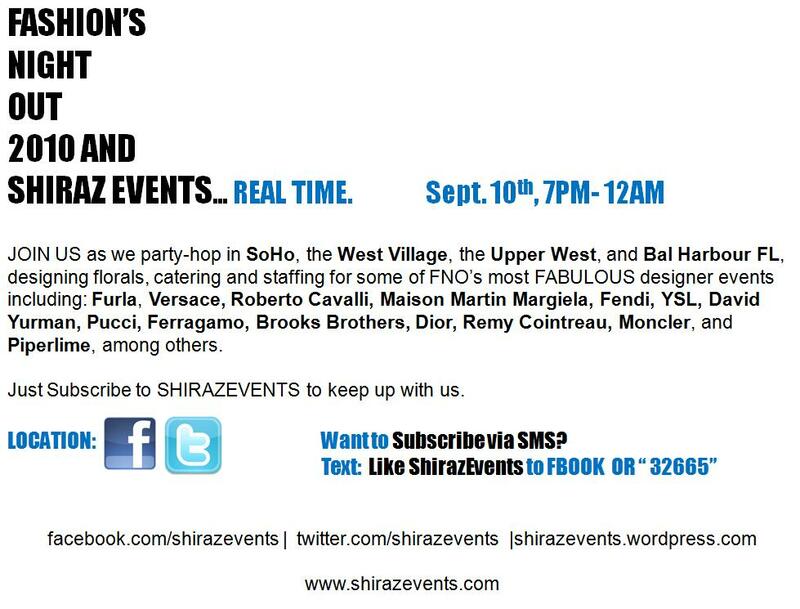 Subscribe to Shiraz and follow us Real Time throughout our journey September 10th in NYC And Bal Harbour FL. This entry was posted on September 9, 2010 at 6:14 pm and is filed under Events, Uncategorized. You can follow any responses to this entry through the RSS 2.0 feed. You can leave a response, or trackback from your own site.